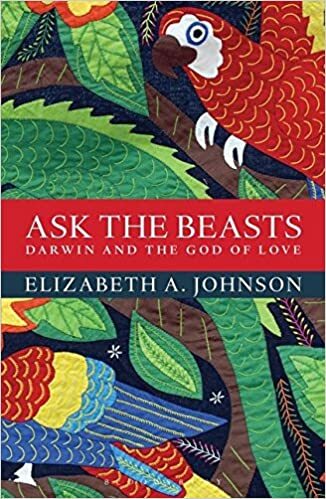 I have been reading Elizabeth Johnson's book Ask the Beasts: Darwin and the God of Love and it has stimulated lots of worthwhile pondering. Johnson is a theologian who is also a Roman Catholic nun -- or should that be the other way around? 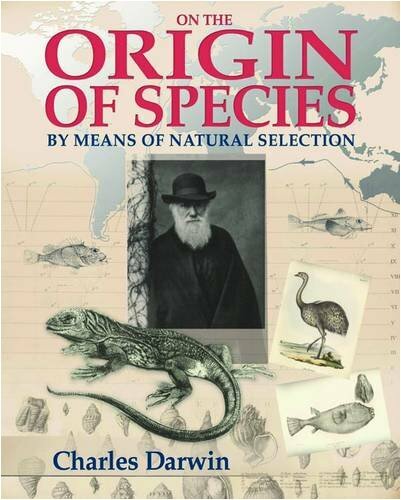 The book was inspired by theological conversations at the time of the 150th anniversary of the publication of Darwin's On the Origin of Species. In it Johnson interweaves reflections on Darwin, references to the Nicene Creed, and consideration of how the God of Creation relates to all living things. The publication of Species was a world-changing event, not only within science but in Judeo-Christian theology and the practice of faith as well. At the time the concept of creation as the agency of the Creator was the norm, even for scientists. While ideas were developing about natural selection and evolution they were presented with a degree of caution. Darwin and his contemporary Alfred Russel Wallace presented very similar papers on the subject and Darwin hurried to publication. Johnson is an admirer of Darwin despite the fact that he studied for the Anglican priesthood early in life but became an agnostic over time. Her book pursues the reconciliation many Christians have made between a trust in God as the initial creative energy of the universe and the wondrous diversity of creatures and their interdependence. The title of her book is a phrase from the Hebrew scriptures and the parable of Job. In many respects Darwin did listen to and learn from the creatures he observed both in his home environment and during his momentous voyage on the Beagle. They told him a story of the development of life which we now accept as the best explanation for what is all around us. This said, I was fascinated to read a couple of days ago about discoveries which suggest that butterflies and moths developed their prosboscises - tongues -- long before the emergence of flowering plants. It has been assumed that the tongues developed simultaneously with flowers as an adaptation for survival. So why then did moths and butterflies develop those long tongues if it wasn't an evolutionary adaptation? I can hear the young Earth Creationists exclaiming "aha, we told you so!," although this new work certainly doesn't support their general assumptions. I suppose the key is for us to be open, to "behold" the intricate world around us, to marvel at its beauty, and to do whatever we can to "live with respect in Creation." Science, in general, represents a pursuit of truth through evidence based reason (ie. the "rational"). On the other hand, faith is exercised in that domain that lies beyond reason, the "non-rational", which pure scientific inquiry may not be able to satisfy ("the assurance of things hoped for, the conviction of things not seen" Heb.11:1). The flashpoint of conflict between these two areas lies in the domain of the "irrational" wherein biblical scripture is taken as literal, inerrant and historical fact, lying in direct contradiction to clear, thorough and well established evidence. This can lead to absolute nonsense with serious and damaging consequences. There are hundreds of contradictions in scripture that simply cannot be resolved to yield a consistent and coherent viewpoint. But we can develop wisdom through the genuine discernment and study of scripture. There. My New Year rant is done. I'll receive it as wisdom rather than a rant Frank, although not all rants are created equal. I quite enjoy Rick Mercer's rants while I never appreciate those from Donald Trump. Thanks for your thoughts. You nailed it Frank ! Martin and Malcolm. What if?